Cullen skink is a rich and comforting Scottish fish soup made of smoked haddock, onion and potato. You can use dyed or undyed smoked haddock but undyed is preferable for a more natural colour. Cullen skink is great for a warming winter meal or a perfect starter for a Burns’ Night feast in January. In a shallow pan, poach the haddock in the milk for 6¬–8 minutes. When cooked, remove the fish from the milk and set aside. Reserve the milk. 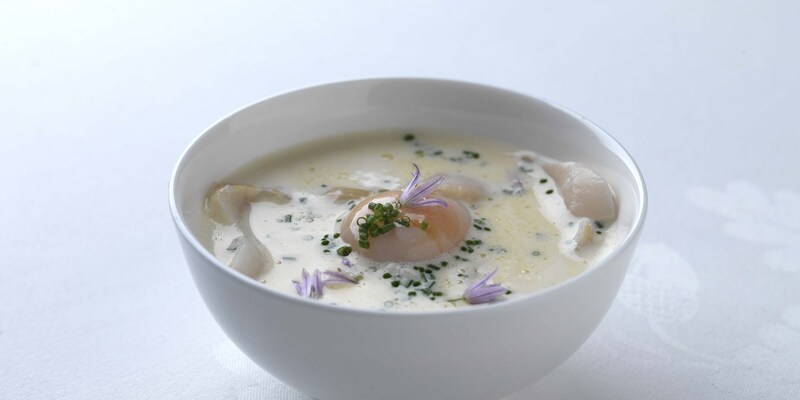 Variations are plentiful in Cullen skink recipes, so play around to find your perfect version. You could try adding cream for extra richness, incorporating other vegetables such as leeks and Jerusalem artichokes or garnishing with fresh herbs like chives, parsley or chervil. Adam Stokes adds quails eggs in his Cullen skink.